As Rural Towns Lose Population, They Can Learn To 'Shrink Smart' Most remote towns are shrinking, whether they like it or not. But if they take inspiration from industrial Eastern Europe after the Cold War, they can improve even as they get smaller. Sukup Manufacturing Co.'s thriving factory outside tiny Sheffield, Iowa, gives the town an economic anchor. But that hasn't stopped the population numbers from slipping. Many small towns would love to be in Sheffield's position, with a thriving factory providing good-paying jobs. And Sheffield has civic pride: the West Fork Wharf restaurant features tabletops cut out of the old high school gym floor, local memorabilia displays and sandwiches recalling sports rivalries. People are excited about the recently opened coffee shop in the old city hall building. But Sheffield is still a small, remote, rural town, and for all its blessings, it is nonetheless losing population. According to census estimates, the numbers slipped by about 4 percent between 2010 and 2016. 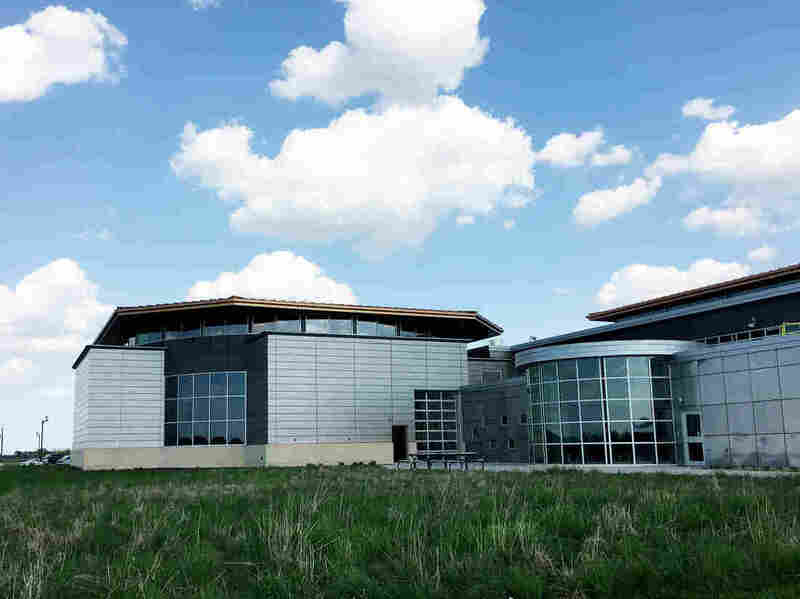 Population loss like Sheffield's is happening in small towns across the U.S. "The big picture for all rural communities that don't have a connection to a growing metro area is that they are going to get smaller over time," says Kimberly Zarecor, associate professor of architecture at Iowa State University. Zarecor argues that towns like Sheffield shouldn't spend money trying to lure new residents to shore up their population numbers. She says instead, they should focus on making life better for the residents they still have. In fact, she's devoting a lot of her energy to the cause she calls "The Shrink Smart Project." 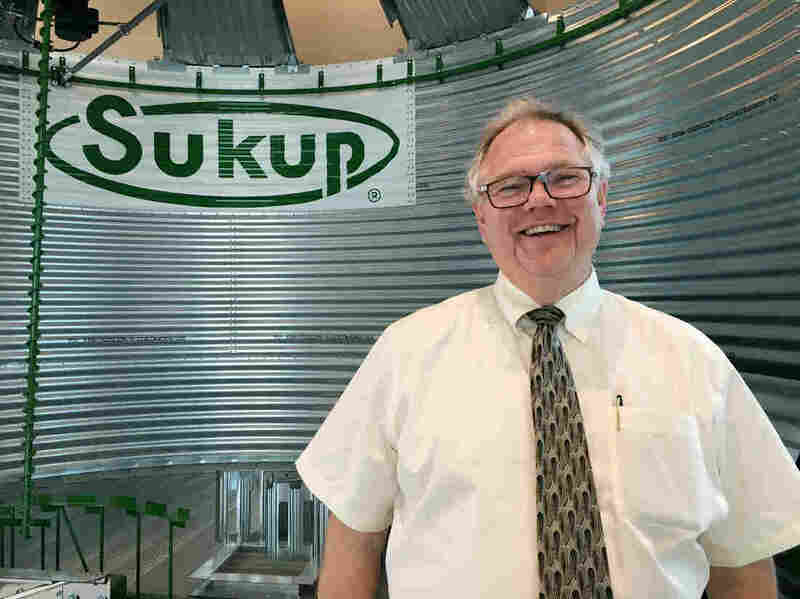 Charles Sukup is the president of Sukup Manufacturing, which makes grain-storage equipment in Sheffield, Iowa. It's an idea that dawned on Zarecor when she studied in Ostrava, a city in the Czech Republic that saw its coal and steel industry collapse 30 years ago, with the end of the Cold War. "Ostrava is a place that's shrinking, losing people, but it's still a place that people love to live in, are very loyal to," Zarecor says. "And it's also a place that outsiders look at and think, I don't want to be there." Sounds like any number of small America towns, right? Eva Spackova, an architecture professor at the Technical University of Ostrava, says her city embraced a paradigm shift when the bottom fell out of the local economy — one that's similar to the the change some parents make when the last kid leaves the house and they decide to downsize. "It's stupid to think about big family if your children don't live with you. But it's good to think about a nice home where your children can come sometime. This is the idea," Spackova says with a chuckle. By embracing the idea that it can both shrink and improve, Ostrava has cleaned up pollution and revitalized some of its older neighborhoods. The old, industrial city has reinvented itself as a cultural hotbed with avant-garde theater and events like Colours of Ostrava, an annual music festival held in an abandoned iron works. Kimberly Zarecor and her colleague at Iowa State, Dave Peters, want to bring that kind of thinking to rural America. Peters says they're conducting surveys to figure out how some remote small towns are already making residents' life better, even as their populations drain away. He says there are some standouts — such as Sac City, Iowa, whose population is estimated at 2,105 and falling. The numbers are down by a third since a farm equipment manufacturer closed its factory there in the 1980s. "Sac City is probably one of our best examples of Shrink Smart, in that the quality of the services, the quality of the government, the quality of the community, it's phenomenal," Peters says. Despite the decline in residents, Sac City, named for the Sac Indian tribe, teems with civic energy. The town boasts a hospital, a nice rec center, two pools, public schools, a library, robust day care, even a roadside attraction, the World's Largest Popcorn Ball — a confection that weighs more than 4.5 tons. The Sac City Community Foundation is thriving, and everyone on its board is involved in one of the half-dozen other charitable foundations operating in this tiny town, or in local government, or both. If the group decides to spend a few hundred dollars on a permanent bike pump along the trail in town, not only do they personally know the person in charge of the project and the other funders, but they most likely know the person who'll be installing the pump. Sac City Community Foundation board member Steve Irwin says the town's "secret sauce" is its super-involved citizens. Board member Steve Irwin says Sac City's "secret sauce" is people: super-involved citizens, willing to work together for the good of the town. "We always seem to have a champion for a project, somebody or some group that kind of takes the lead," Irwin says. Progress can still be slow and frustrating. Not all of the community-development projects work out, and with such a small population it's hard to attract new employers and jobs. 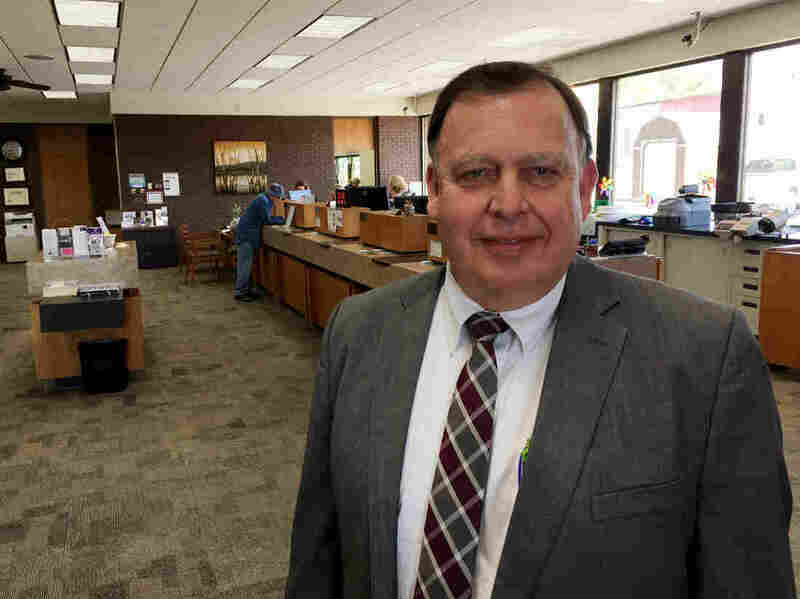 Irwin freely admits that the town would prefer to grow instead of shrink, but in the meantime, he says leaders here have made progress on the quality-of-life fundamentals. 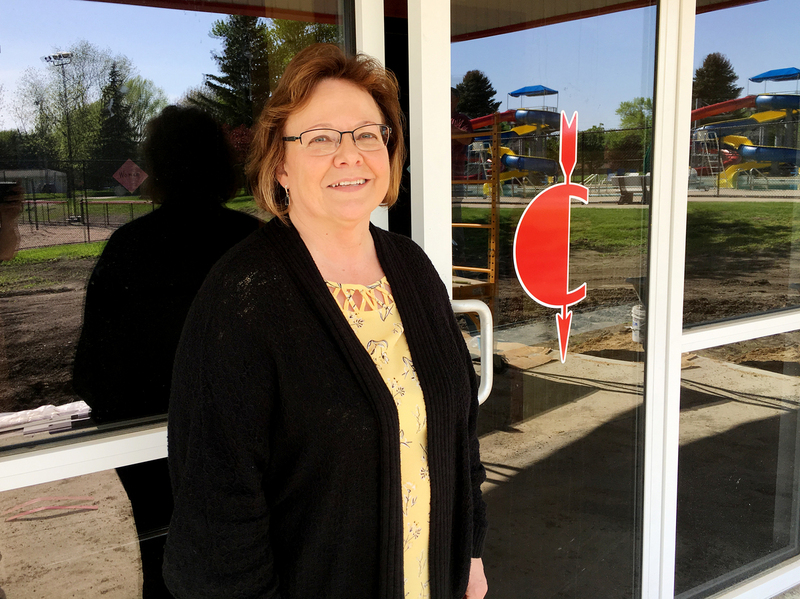 "It's more about how the people feel about their town. Are they happy? Do they have a sense of community? Do they have the essentials of life? Do they have health care and recreation?" Irwin asks. Sac City's momentum got a huge — and rather startling — boost three years ago, when lifelong resident John Criss died. Criss ran the men's clothing store in Sac City, a business he took over from his father. He was a bachelor and left almost all of his estate, $5.7 million, to a fund to beautify the town. Renae Jacobsen oversees the spending of John Criss' bequest to Sac City, Iowa. The signs of that work are all over Sac City. There's new landscaping with big limestone blocks; they spruced up the library, the cemetery and the rec center; installed new playground equipment and tennis courts and built a new community building, just for starters. Soon, statues will line Main Street, and decorative new street signs will pop up at almost every corner. The bequest came as a complete surprise, even to Renae Jacobsen, who Criss left in charge of the fund. "I think it was just his way of giving back to the town," Jacobsen says, sitting outside the new entryway to the rec center. "He probably saw that it needed some beautification, some work. Probably just didn't want to see it die out ... like so many small towns do." Global economic forces will likely keep grinding away at remote rural towns. But people in Sac City and other towns like it hope that by working collaboratively, they can improve quality of life little by little and keep making themselves better — if smaller — places to live.